Bell Let’s Talk Day Activities: Get Involved! On January 30th RRC will be observing Bell Let’s Talk Day with a day full of supportive conversations and stigma-busting activities. We know that each year one in five Canadians will experience mental illness. One of the biggest hurdles for anyone suffering from mental illness is overcoming the stigma. It is the number one reason why two-thirds of those living with mental illness do not seek help. So, get involved and help bring positive change. Join us for tea, cookies, and conversations. Paint supportive words or images on a giant art canvas. Attend a workshop where you’ll learn how to start helpful conversations about mental health. Registration is not required. Drew Dudley, keynote speaker, founder of Day One Leadership and author of This is Day One, will be talking about his personal experience with Bipolar Disorder. At https://letstalk.bell.ca/en/ you’ll find several insightful videos where people with lived experience of mental illness share their stories. You’ll also find information about ways to contribute to fundraising efforts by participating in the social media campaign. 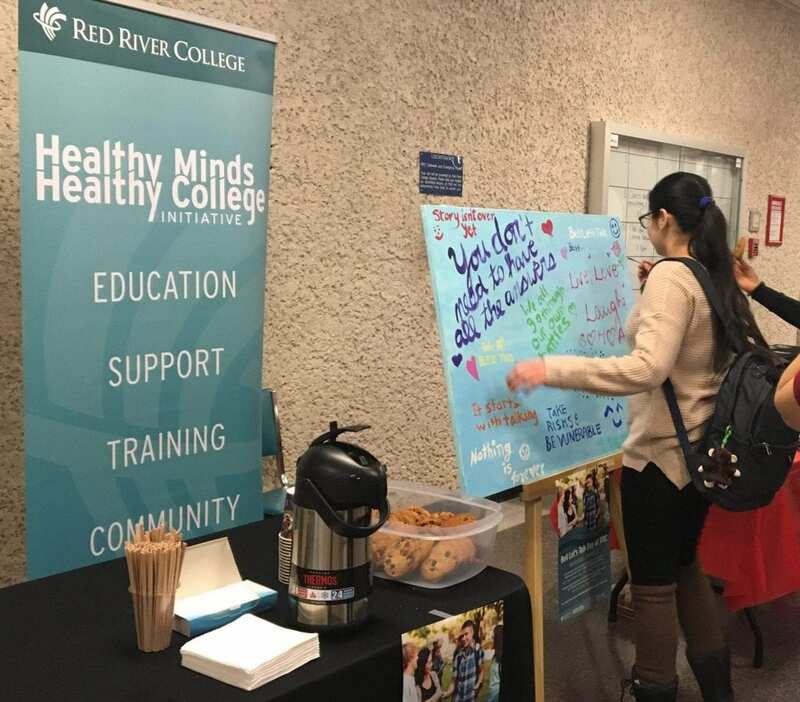 Red River College > Healthy Minds Healthy College > News and Events > Combatting Stigma > Bell Let’s Talk Day Activities: Get Involved!